The energy industry and environmental sustainability: a marriage of love or convenience? 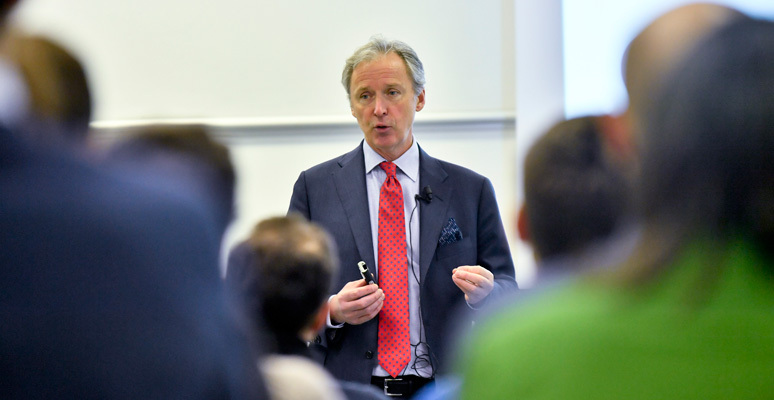 Participants of SDA Bocconi’s MBA discussed this issue again during a meeting in the “Lunch & Learn” series with Peter Parry and Roberto Nava of Bain & Company, concluding that the alternative is not so drastic. All the main oil & gas companies have embarked on the path of sustainability driven by a new environmental sensibility and responsibility as well as by new market demand and growth opportunities. Consumers, especially if they act as a collective subject, are both the driving force and the ultimate recipients of this change, which is having a deep impact on business models and the value chain of the sector. And it is precisely a virtuous circuit of interests that feeds the process: the demand of the market and stakeholders is transformed into investors’ imperatives – who no longer think only in terms of financial returns – which in turn become lever of compensation for managers of companies. For the major players in the energy sector, this means new sustainability targets that result in greener supply chains, low-impact operations (in energy use, water consumption, waste reduction, and recycling), and a reshaping of the products and services portfolio to eliminate “parts of their business that they feel don’t fit their profile anymore,” Parry highlighted. Their goal is “to try and change the overall carbon footprint, also because the incentives of the executives are pushing in that direction”. This step is, by definition, more difficult for O&G companies than for other sectors. Becoming carbon neutral in ten years – the time horizon of some companies such as ENI – is a truly challenging goal. “You need to change your daily routine from when you get up in the morning to when you go to sleep at night. Not just your own routine but that of everybody who works with you, and the suppliers who support you.” It is a process that needs to be approached step by step, which requires the progressive alignment of processes, competences, and incentives. “It is an industry that needs to make heroic targets,” is the conclusion. With a crucial implication: the companies that succeed will guarantee new business opportunities. And more broadly, those who know how to make sustainability not only a cost item but a business priority will make a “disruptive” competitive leap.